The process for 2017 change of institutions and other correction has started but a lot of people do not know how to go about it. I am going to share my experience at the JAMB office in Ikoyi with you, where I went to do my correction of data. Upon arrival at the JAMB office in Lagos, I was shocked to see a lot of people also there for the same purpose. As I entered, I heard a lady telling students to proceed with bank payment because the online payment system was down. She also pointed out that some students made the mistake of paying for the 2016 Correction of Data instead of 2017 Correction of Data, making them pay twice. 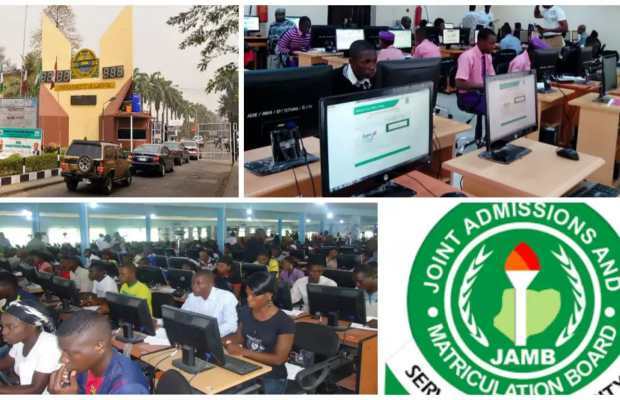 Note: Immediately you login to the system, www.jamb.org, the first Correction of Data on the portal’s homepage is for 2016, which tells you to pay N2500 for each correction. Please don’t pay for this one. Step 4- Click it and follow the steps to pay either online or bank. We were told to pay at the bank because the online payment was down. After paying the N2,500 at the bank with bank charge of N100 Naira, returned to JAMB to effect the change. Note: You can equally do this at any accredited JAMB CBT Centre. Make sure you do the correction of data yourself because FINGERPRINT is REQUIRED. Also note that JAMB office also charge N300, so ensure you go with enough money. Please Share these information to friends…It will be of help!!! Please I did a mistake while uploading my profile photo for DE registration Any suggestions please? Probably you should contact them again. Did she carefully follow the procedures stated above in this post?